INDIA is a beautiful country and popular all over the world as LAND OF DIVERSITY. Strong history, vivid culture and vibrant heritage values of the nation attract travellers from every nook and corner of the globe. All around the year several scores of tourists visit to this picturesque destination to experience the glimpse with great fun and entertainment. Scenic beauty of stunning locations like hidden Himalayan ranges, mysterious locations of Deccan Plateau and vivid landscapes of northern plains mesmerize the attention of travellers. Most of the travellers travel in and around to only most familiar sites and finished up visiting those destinations only in their trip. Foreign visitors love the place because of diverse culture, vivid landscapes and different religions. It is sure that any time when you visit the country you can enjoy colourful festivals and fairs celebrated in every location. 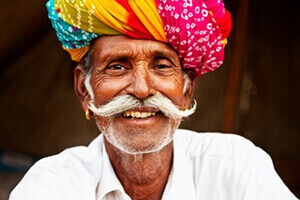 Enjoy such auspicious times with the local people in a friendly manner and make your visit to India an unforgettable. 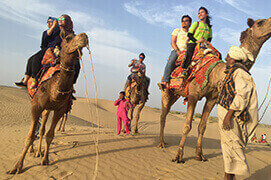 The country is an extraordinary place where visitors can enjoy all types of holidays like nature trip, adventure tour, wildlife trip and comfy honeymoon by newly married couples. Every state of the nation is perfect location where tourists can witness the different living style of several communities. Metropolitan cities like Mumbai and New Delhi are attractive destinations to experience the real value of technology world. Beside these locations there are thousands of villages where holy cows wander along the narrow streets and where ancient temples constructed in captivating architecture style located entirely around the villages that symbolize the true bygone era culture and heritage of incredible Indian society. The unique incomparable travel route GOLDEN TRAINGLE ROUTE is perfect trip that would make your visit to the country unforgettable. 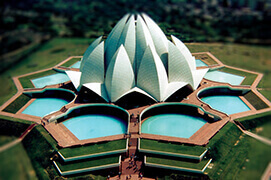 India's iconic cities namely DELHI, AGRA and JAIPUR are covered in the circuit. 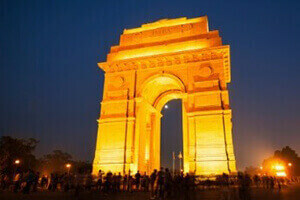 The city of DELHI attracts visitors by its historical monuments like Red Fort, Jama Masid, Jantar Manta, Qutab Minar, Safdarjung's Tomb and Humayun's Tomb. Narrow streets of Chandni Chowk in Old Delhi capture the attention of sojourner. Visitors can enjoy entertaining rickshaw ride and watch the crowded markets. 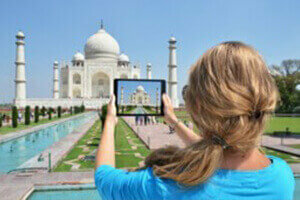 Agra is a lovely city on the banks of Yamuna River is popular worldwide for its UNESCO Heritage Site TAJ MAHAL. 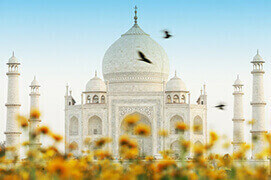 TAJ is constructed as a token of love for his adorable partner Mumtaz Mahal by Mughal Emperor Shah Jahan. Speechless architecture style of this white mausoleum lure the heart of thousands of traveller's all the seasons. Jaipur which is also famous as the Pink City is capital of Indian desert land Rajasthan. Amber Fort, Jal Mahal (Water Palace) and Hawa Mahal (Wind Palace) are lavish places to witness the glorious history of this earlier Rajputana state. One time visit is not enough for all kind of travellers because uncountable attractive sites are scattered all over the nation. The southern parts and northeast regions of the country are blessed with distinctive gifts of the Mother Nature. KERALA – is a greenery state and also called as God's Own Country is a lavish destination to rejuvenate mind, body and soul. 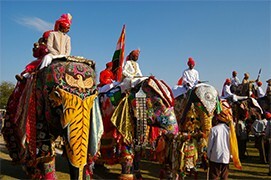 Colourful festivals, folk music and traditional dances make the visit of tourist memorable lifetime. TAMIL NADU is a pilgrimage site like Varanasi, Haridwar and Rishikesh. Different temples devoted to several gods and goddesses dotted these lands. Northeast states like Arunachal Pradesh, Manipur and Guwahati are lush green destinations where tourists can enjoy every moment with tones of memories. Enjoy the array of history, culture and heritage with great enthusiasm wherever you visit any part of the nation. For those teenagers GOA which is also called as LAS VEGAS OF INIDA is the most happening place to enjoy fantastic vacation. Sandy beaches lined with numbers of tall coconut and palm trees are stunning areas to enjoy evening walk by holding the hands of one another in a romantic mood. Each destination of the country hold unique features in its lap, there are total 28 World Heritage Sites counted all over and these are specific locations to experience the real history and heritage of incredible India. Pilgrimage sites namely Yamunotri, Gangotri, Kedarnath and Badrinath situated on the top of snow covered Himalayan ranges are sacred places of worship for devotees all over the globe. Varanasi - a holy town is commonly visited destination by domestic devotees as well as international tourists to discover the religious and spiritual values. Visitors in the country never need to hassle about the place to stay. Several types of accommodations ranging from budget to luxury are placed in all over the regions. 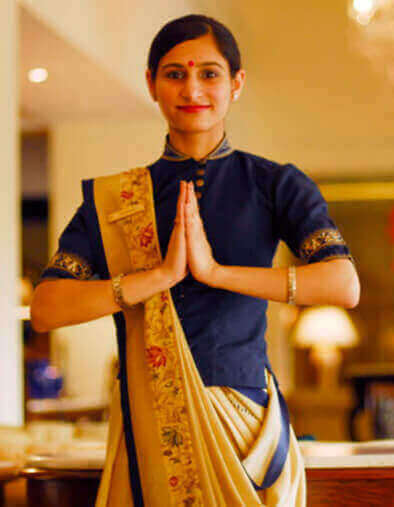 At these comfortable cocoons one can enjoy the gracious traditional hospitality and world premier class facilities. This colourful country is connected with all International Flights everyday and domestic states are connected with different types of transit system. 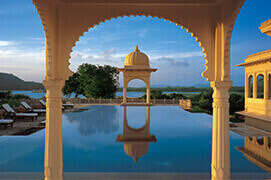 Visit once and witness the real India in a refreshing manner. And assures that you'll be longing to visit again next time!! !